Quite a few years ago, I learned the difference between being sad when someone dies and the gut-wrenching, heart-hurting, curl up in a ball unable to move kind of grief. When my best friend died, I’d never experienced such extreme despair. For a time, I wasn’t positive I could get back up again. Then, I began moving my physical body, but on the inside I felt dead as well. Nothing made sense to me. No purpose seemed to matter. I’d never heard anyone talk about that kind of grief, the kind that keeps you from living with any kind of joy, peace, or purpose. My experience with tough times consisted of being sad and then moving on, forgetting (or at least putting in the back of my mind) what had upset me. In grief, we can’t always forget, and so we learn to move forward and find joy and live productively again. 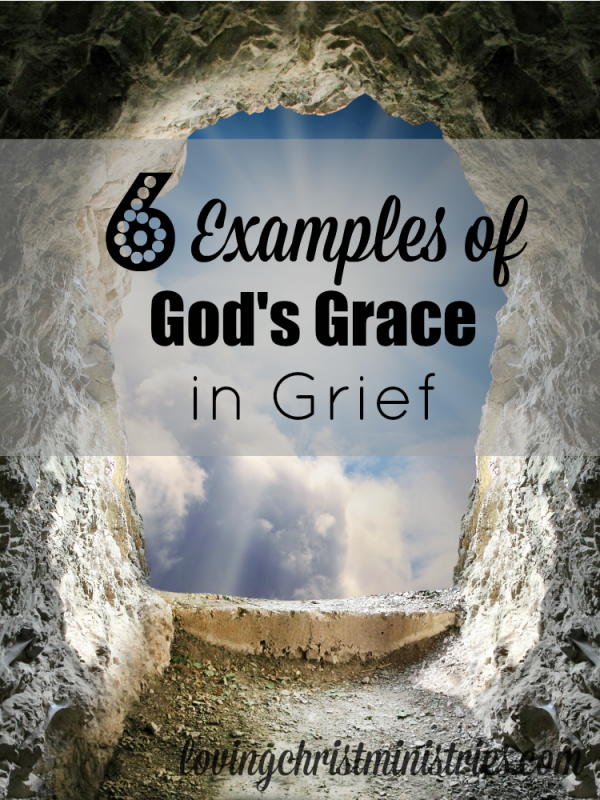 Until I recognized God’s glorious grace in my life while grieving, I wasn’t sure I could make it. But He did extend His grace to me. For that I am forever grateful. Finding purpose, knowing joy again in the midst of our grief, comes when we willingly allow Christ to fill us. It can certainly take time to arrive at that point. For a while, I closed myself off to it; I was just too angry, sad, exhausted from worry and fear. To know God’s grace, we have to be open to His work in our lives even in our darkest times. 1. Filling me with an incredible peace – this didn’t come easily. No, it’s not because Christ wasn’t there trying to get my attention so I could be filled with Divine love. Instead, my grief consumed me so much I wasn’t aware of it yet. 2. Providing proof of God’s existence in direct answers to my pleas. 3. Sending family and friends who provided love and support. 4. Giving me His Word to guide me and show me the way to true life. 5. Showing me where others need help so I can know perspective and purpose. 6. Driving me forward with hope. Hope, the most important of all in finding my way through grief – hope that God is real, that God’s promises are real, that life is not in vain, that there’s a reason, a purpose, and that my loved one is okay. Hope that I’ll be okay. Hope. I wake up each morning thankful for God’s grace and for the ability to recognize and accept it. It took me a long time. If you find yourself struggling, reach out – to God, to family, to friends, to strangers (email me if you don’t have anyone else to talk to! I’m not a therapist, but I’m a friend and can listen). Despite what you may be feeling, never forget God will never ever leave you. Want to remember this? 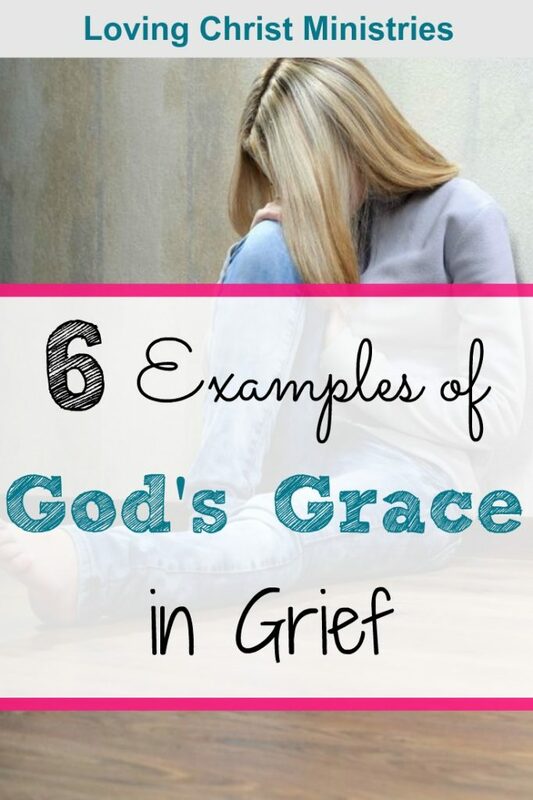 Post God’s Grace in Grief to your favorite Pinterest board! But I am so broken. All I want is my baby back. I feel like my life is over. Only living for my little girl. I have always been a strong believer but find myself doubting God’s love. Sometimes even doubting his existence to let such a terrible thing happen to my good boy. Searching for strength and peace. Searching to regain my faith. Dec 6 I’ll be the 2nd anniversary of my 28 yr old daughters death. She was killed instantly in a car crash in mass. I was living in nc at the time.I sat sat in shock over it and I kept asking God why he took my daughter away. I heard him say to me Well I gave up my son too. I know that’s what helped me thru the grief. I am so terribly sorry for your loss of your precious son. Thank you. It has been a very emotional time for me and my other 3 children.But God hasn’t forsaken me or forgotten me. One day I’ll see my girl again. My 27 year old son my only child died 10 months. He was a recovering addict but relasped and lost his life. I’ve never felt this kind of pain, its deep in my soul I’m a believer yet I haven’t felt any comfort from the Lord. My son was also a believer, actuality got baptized 3 years ago, but struggled so hard. I ask God everyday to let me know HE now has my son, if I know he’s with God I could accept this pain easier, but I hear & feel nothing, just sorrow & loneliness, why won’t God give a grieving mother a answer? I am so sorry for your loss and pain. I can’t even imagine losing my son. I do believe God gives/will give you the answers you’re praying for. 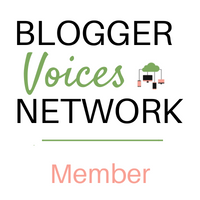 When I look back at my own experiences, I can see now how during the most devastating times in my grief, I wasn’t truly open to hearing from Him yet. Oh, I thought I was and I asked for it, but I needed to work through the worst of the pain in order to recognize the light and hope in Him. It didn’t happen all at once either and make everything better. Instead, I eventually got little glimpses of God in the midst of all my grief. They were enough to keep me searching. It took a long time. I wasn’t truly ready for a very long time. But God is constant and steady and loving and will let you have all the time you need, and He’ll be there always. You’ll start to recognize His voice and His touch through your pain. It won’t make all the pain go away right at once, though. Each person is different, and I am not trying to say that our experiences are the same. However, 10 months is not very long at all. Allow yourself to feel your grief. And keep looking to God even when you don’t feel or hear Him yet. Remember, too, to not only pray but be still and listen. It’s so hard in the beginning. I will pray for you. God bless you! I really enjoyed the article, I loss my mother two years ago and it seems just like it was yesterday, sometimes I think the only thing that keeps me going is my son. Hopefully it will get better. I’m so sorry for the loss of your mother. Two years really isn’t very long at all! It does get better, but it’s always difficult. You’ll have lots of ups and downs. Just remember to look to God. He really will provide peace and hope in His promise of eternal life. God bless you! 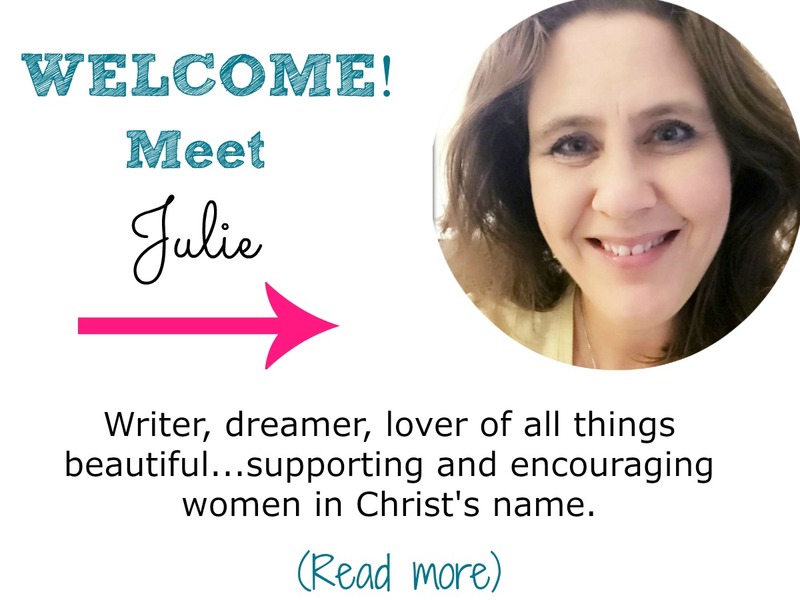 God used my grief over my father dying from cancer as a way to bring me back to Him. And because He brought me back into the fold, my whole family has come as well. Absolutely! That’s how he works. I’m so sorry about your father. So thankful your faith is full! Totally Agree! God is pretty perfect the way he plans everything out. I love God! Definitely! Thanks for stopping by and sharing! Beautifully written. God’s grace shines through at the most unexpected times. Thank you, Mary. Yes, it surely does!